Styria is a state of Austria that can be found in the south-eastern part of the country. 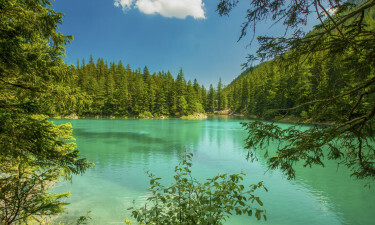 This is a popular destination with nature lovers and visitors who book a mobile home in one of the region’s luxury camping sites will be able to spend their days hiking through Styria’s lush valleys and large national parks. Why Should Visitors Arrange a Camping Holiday in Styria? This leading LUX-camp is situated on the edge of a pretty village right in the heart of Styria. Hiking through the surrounding valley is a popular pastime among people who book a mobile home here, while the site also offers an excellent range of recreational activities. 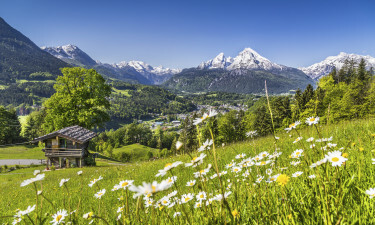 Nationalpark Hohe Tauern is one of the largest national parks in the whole of Europe and is the perfect place to explore to get a feel for the wild natural beauty of Styria. The region also boasts several enchanting natural hot springs and these are great places to unwind while experiencing the camping holiday of a lifetime. Graz is both the capital of Styria and the second largest city and boasts an excellent range of attractions for visitors to explore. The old town is a World Heritage site and is home to Eggenberg Castle, Glockenspiel and the Schlossberg. Bad Aussee is another of the region’s largest settlements, while people who take a trip to Bruck an der Mur will be able to admire some enchanting architecture such as the 15th century Kornmesserhaus and the Eiserner Brunnen fountain, which dates back more than four hundred years and boasts some uniquely ornate and impressive iron decorations. 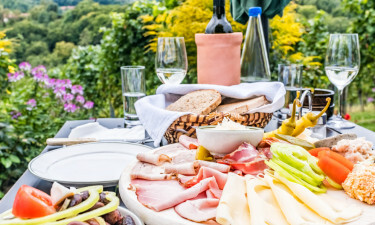 Brettljause is one of the region’s most popular traditional dishes and features small pieces of different types of meats served with horseradish and freshly baked bread. This dish is delicious when eaten with locally produced white wine and a number of pretty vineyards can be found close to the Slovakian border. Those who are interested in the rich culture of Styria will want to time their trip to take in some of the special festivals that are held in the summer months in major towns and cities throughout the region.